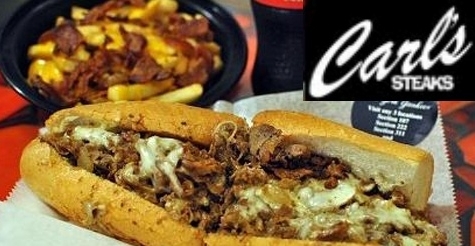 Carl's Steaks serves up authentic Philly Cheesesteaks made with thinly sliced sirloin steak grilled to perfection. Carl’s originally started at Yankee Stadium where they have had the largest stand for over a decade! They now dish out these Philly classics to hungry New Yorker’s from their two iconic food trucks.